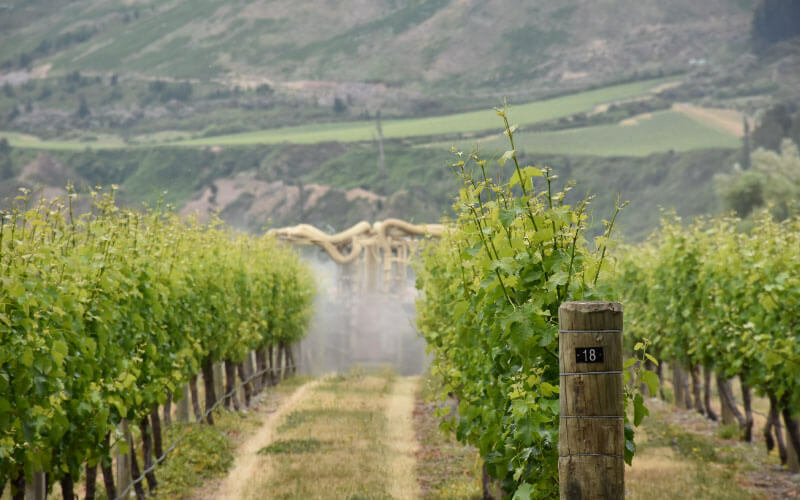 Fertilization of vineyard is an important vineyard management activity, as it ensures a sufficient amount of nutrients for vines, and thus higher crop yields. Good fertilization plan can be achieved by using data about the actual state of the soil – and this is done by making soil analysis, which provides data about nutrient availability in the soil. 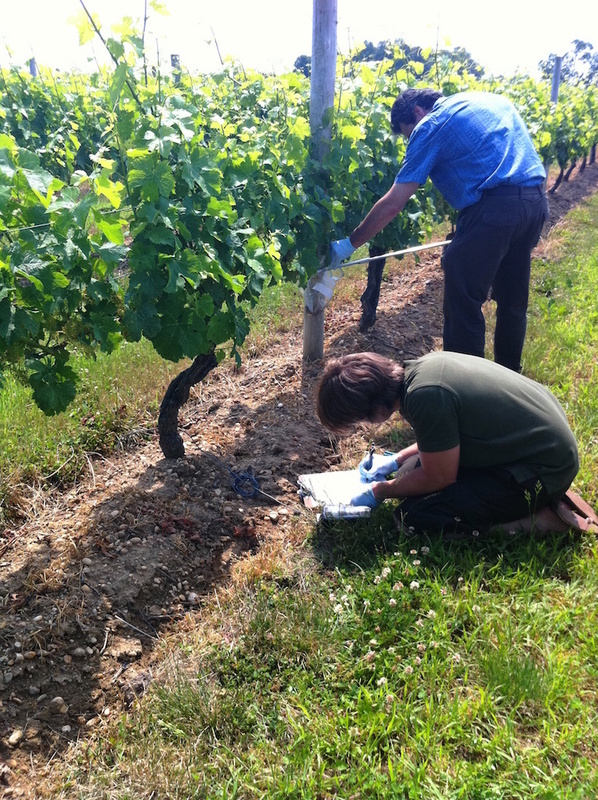 In order to make a soil analysis, representative soil samples have to be obtained from the vineyard. 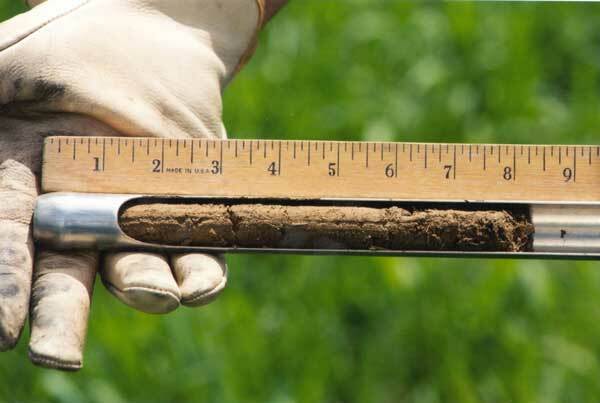 Only proper soil sampling can provide accurate soil analysis results and reliable nutrient recommendations. With the soil analysis, soil fertility can be identified by monitoring changes in nutrients, pH and organic matter. 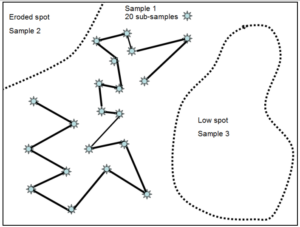 The soil sample must reflect the actual state of soil fertility on a given area, and should be therefore taken in a random pattern that is uniform across the area being sampled. It’s important that soil samples submitted for analysis are representative for the whole sampled area. Namely, incorrectly taken soil samples are difficult to interpret and may lead to the inappropriate analysis results and therefore false recommendations, and as a consequence, an inadequate fertilization. sampling from the edges of the vineyard and/or only from the middle of the vineyard. 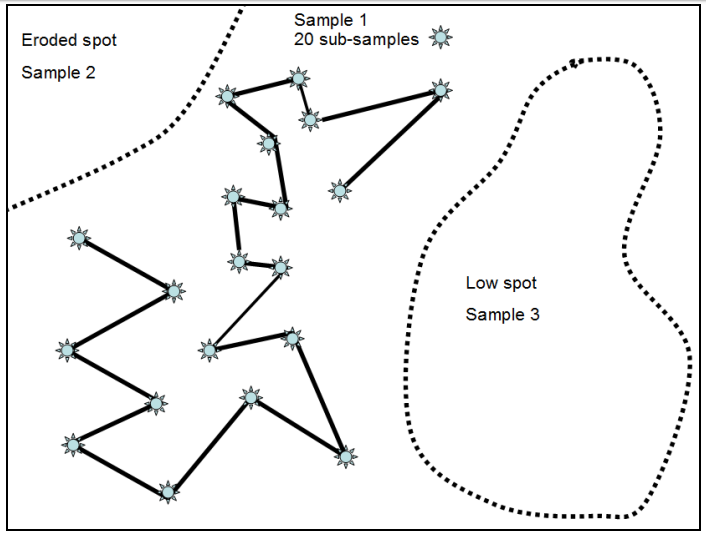 Figure 1 (by KIS, 2013): Most common mistakes in vineyards soil sampling. Cores took only from the edges of the sampled area, middle of the sampled area and other ways that not represent the soil from the sampled area in the best possible way. To avoid those mistakes we have put together some advice on soil sampling. When taking samples, it’s very important to take samples from the area with similar characteristics. 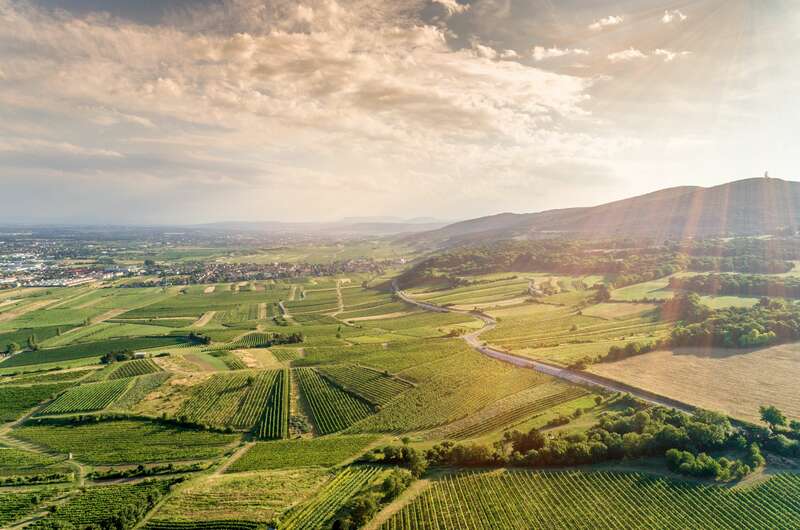 Therefore, you first need to separate the vineyard into smaller sections which have similar soil texture, slope, drainage, organic matter, and cropping history. 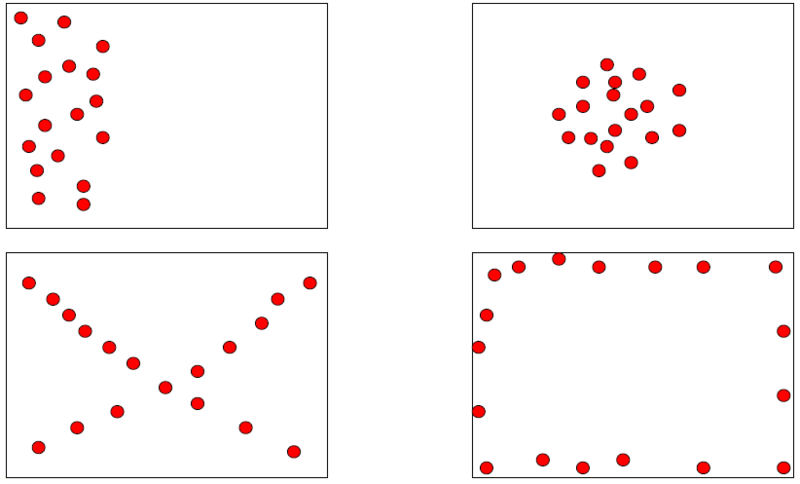 The samples can be taken either in the random or zigzag pattern, just make sure to ensure uniform distribution of samples across the entire sampled area. 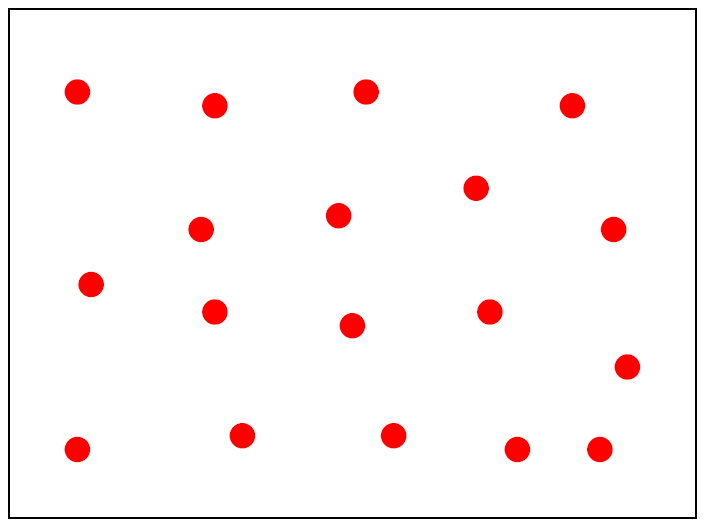 Figure 2 (by Cornell University, College of Agriculture and Life Science, 2012): Example of taking soil samples in the zigzag pattern. For each sampled area (spot) take multiple cores (sub-samples – marked as the blue sun on the photo) to get one homogenized sample. 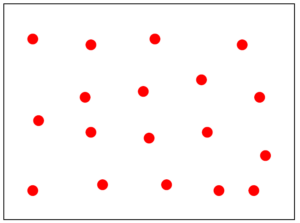 Figure 3 (by KIS, 2013): Example of taking soil sub-samples (cores) in the random pattern. Ensure uniform distribution of samples across one sampled area. Note that in the vineyard, soil samples should be taken from the area under the vine and in midrow, since vine root system is not located only under the vines, but often extend over several rows. However, if nutrients are supplied to the grapevines exclusively via fertigation, then the soil samples can be taken only in the vine row, since most of the roots are located there. 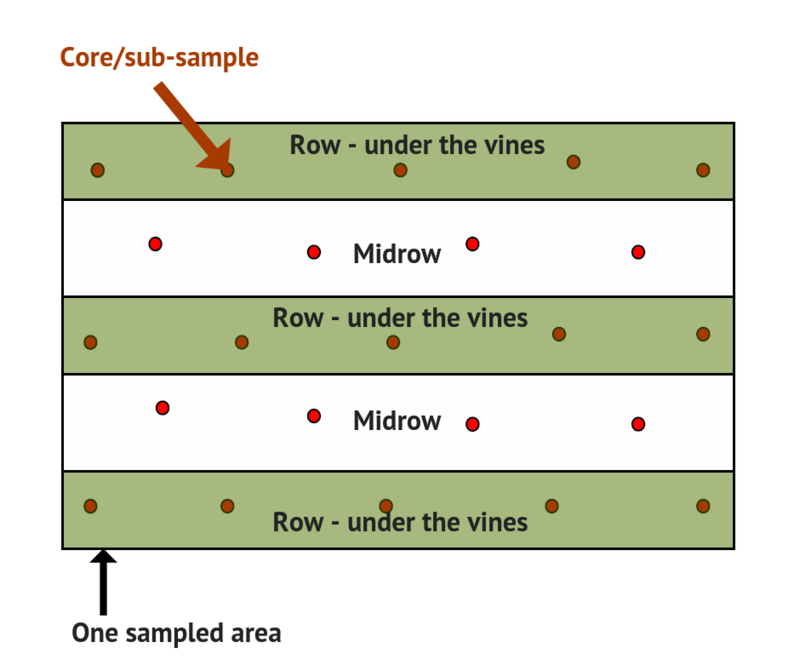 Photo (adapted from KIS, 2013): Soil samples in vineyard should be sampled equally over the entire surface, in the row under the vines and in mid-row. In cases when there are areas with “problems” like lower yield or poor vine growth, they should be sampled separately in order to determine soil characteristics of those areas and later on manage them in a different way, if necessary. When taking soil samples, make sure to sample the entire vineyard, only avoid taking samples at the edge of the vineyard, ends of the rows, and machinery tracks. It’s recommended to take around 10 to 15 cores for every 2ha (5 acres). In case your vineyard is uniform you can take 15 to 20 cores per 4ha (10 acres), but no more than 4ha (10 acres) per sample in very uniform vineyard. It’s important to collect soil cores (sub-samples) from multiple locations on one sampled area in order to get a representative sample of this area. The depth of soil samples required for soil analysis differs and is based on soil type, age of the vines, soil pH, soil salinity, and vineyard soil management practice. As all of those factors affect plant’s ability to absorb nutrients from the soil. The main determining factor for taking soil samples in the vineyard is the depth of vine roots, as nutrients are not available to the grapevines below the root system. Depending on the soil type and vine root depth, soil samples should be taken from different soil layers, because there are different physical and chemical properties of soil on different layers. The best is to sample where soils are obviously different and where most vine roots are observed. Since in practice it’s not always easy to differ soil layer or know the depth of the vine roots, it’s somewhat recommended to take separate soil samples for the surface layer at 0-15 cm (0-6 inch) depth and separate for the subsurface layer at 30-45 cm (12-18 inch) depth. A top layer of organic material (surface growth and/or debris) should be scrapped prior to sampling at the spot where samples will be taken. Photo (by Maize Vally, Ohio Wine and More, 2014): Collect soil sample cores from several depths, depending on the vine roots depths. After taking multiple sub-samples from sampled area, pool the surface sub-samples together into a clean bucket and mix well in order to get one homogenized sample. Remove rocks from the sample and break up any clods. Then repeat the procedure for subsurface, as well as for all other sampled areas. The sample size for soil analysis vary among different laboratories, so check with the laboratory if they have some special requests. Normally one sample size is around 500 g (2 cups). Before you take a sample from the filed to the lab don’t forget to marked samples will all the necessary data (date, property information, vineyard location/site/plot, depth of soil samples if relevant, ordered chemical analysis, etc. ). Check with the laboratory which will do soil analysis for you, if they required some special information you need to fulfill, before taking the samples into the laboratory. Usually laboratories have special sample submission forms that you will need to fulfill and send together with soil samples. In order to properly take soil samples, you will need to take a few tools with you into the vineyard. 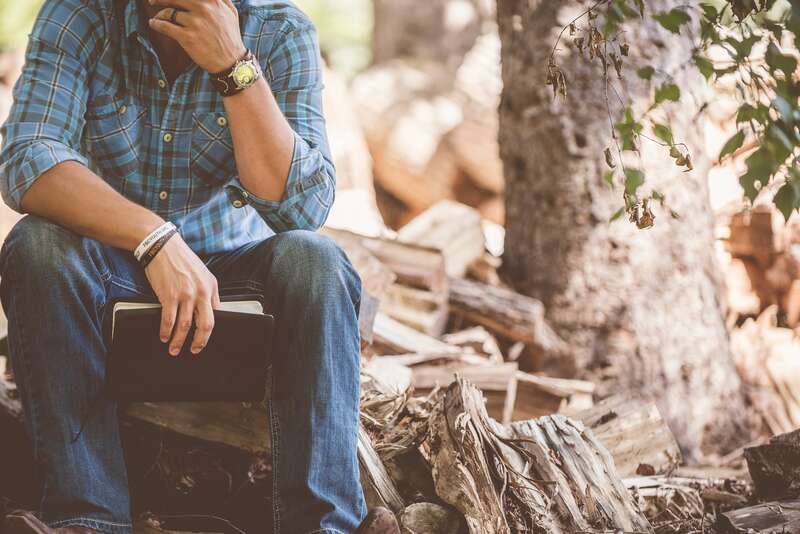 First of all, you will need a map of your vineyard, a GPS, and a marker. After you have separated the vineyard into smaller sections as described above, you need to mark the sampled areas on your map so you will be able to retest the same locations next time for comparison. 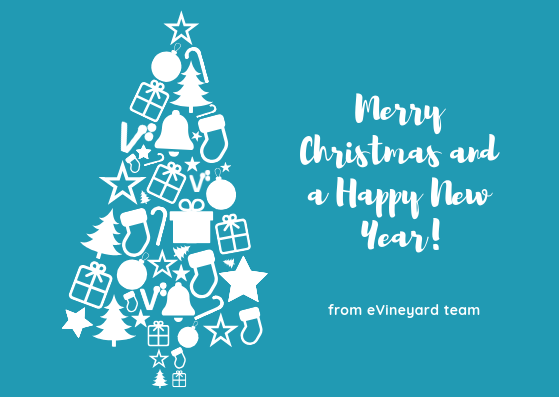 In case you use vineyard information system to mark the sample locations even better as this means you will not need a paper map and will avoid all the hassle with finding sampled locations years after years. After detecting a sampled location you will need a soil probe, trowel or spade, a clean plastic bucket, and sample bags or boxes. Soil samples are best obtained by using a soil probe, but if you don’t have it you can also use a shovel, spade, or garden trowel to collect the samples. You will also need a meter to measure the depth of the soil samples. Also, don’t forget a marker to complete the information on the soil bag while you are in the vineyard. Except if you have prepared up front and already have a sticker with all the necessary information that you will put on the bags. You will also need deionized water and paper towels for cleaning the probe and other tools, as well as a cooler bag to store the samples. Photo (by Jack Gilbert and Kristen West/FMC Corporation, at the forefront of UChicago Medicine): When collecting samples from the vineyard don’t forget to write everything down – mark cores on the map, complete the information on the soil bag and fulfill the form for the laboratory analysis. When to take soil samples? Soil samples can be taken all year round, while most of the growers either take samples in spring or autumn, there will be a slightly different result of soil analysis depending on sample timing, but not significantly different. However, the preferred time to take soil samples is in autumn, after harvest as part of post-harvest vineyard management practice. You should collect samples before fertilization. The soil samples should not be taken during or shortly after a long period of drought, when the soil is frozen, flooded, covered with snow or saturated with water. Therefore, don’t take soil sample after the rain event, but wait until the soil dried slightly. The soil analysis must be carried out at least 6 months prior to planting the vineyard, in order to ensure all the necessary nutrients into the soil. Depending on the soil type and structure in established vineyards soil samples should be collected every two to three years, in some cases every five years. In order to compare soil nutrient changes in the vineyards over time, it’s important to take soil samples at the same time of the year. After you have collected samples make sure to take or ship samples into the laboratory as soon as possible. Also, don’t forget to state clearly what sort of analysis do you wish to have. 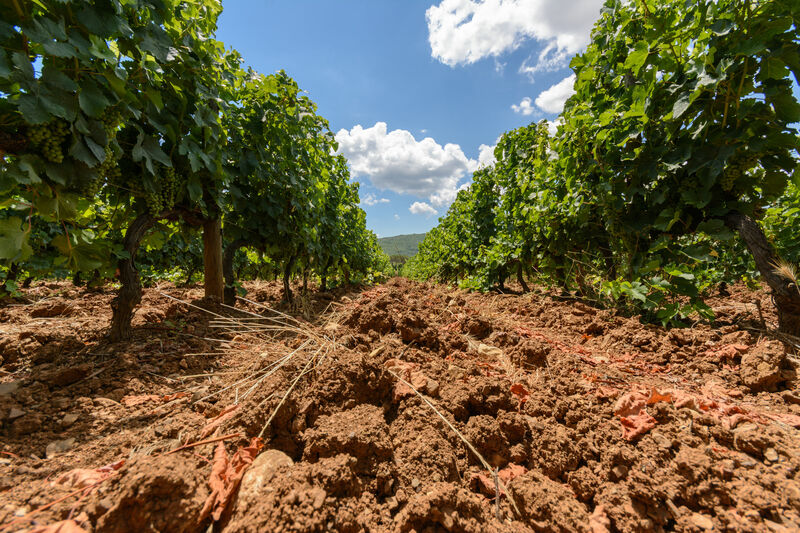 For vineyards soils, it makes sense to obtain data on phosphorus (P), potassium (K), and nitrogen (N) content, as well as soil pH value, and organic matter. It’s recommended to make an analysis also for magnesium (Mg) content as vines need this nutrient in larger quantities, as well as Boron (B) and Zinc (Zn) values. We will cover more about soil analysis in some other post. Now that you are packed with all the information about soil sampling in the vineyard it’s time to get to work. 😉 If there are still some questions don’t hesitate to ask in the comment section below. For easier understanding, we have also made an infographic of the Step-by-Step Guide for soil sampling in the vineyard. 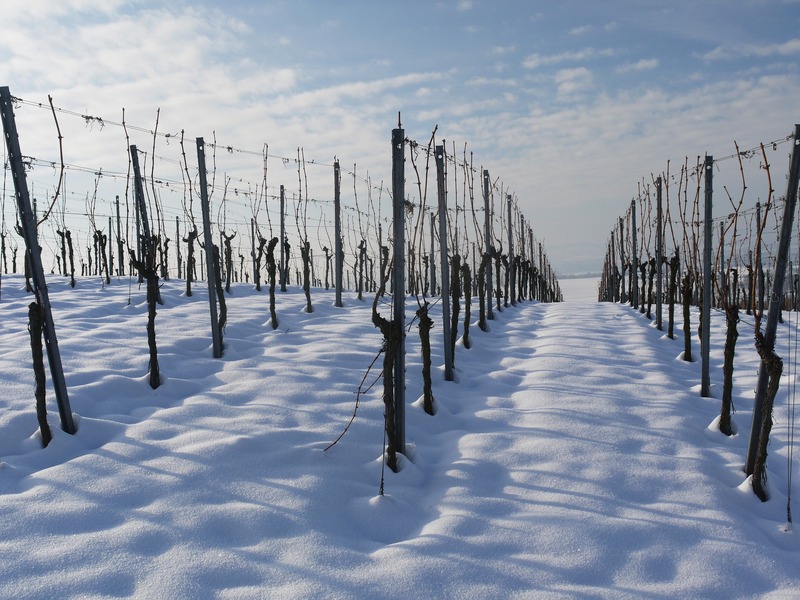 Guidelines for Soil Sampling Vineyards, by Manjula Nathan from the University of Missouri. At IPM Missouri (online), 2018. Soil sampling methods for monitoring vineyard soil quality. 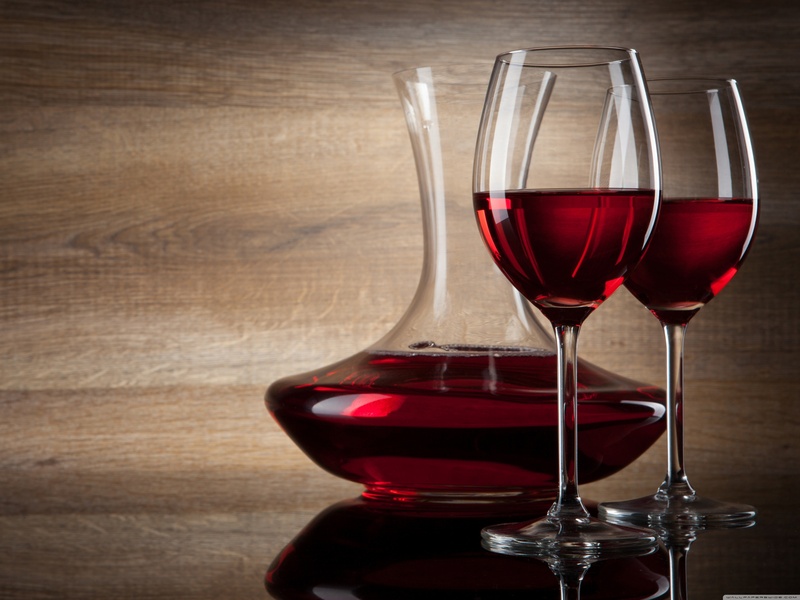 Grape and wine research and development corporation (online). Taking soil samples. Vineyard Activity Guides. AWRI 2010. RTP 0057. Soil sampling vineyards and guidelines for interpreting the soil test results by Diane Brown from Michigan State University Extension (online), 2013.